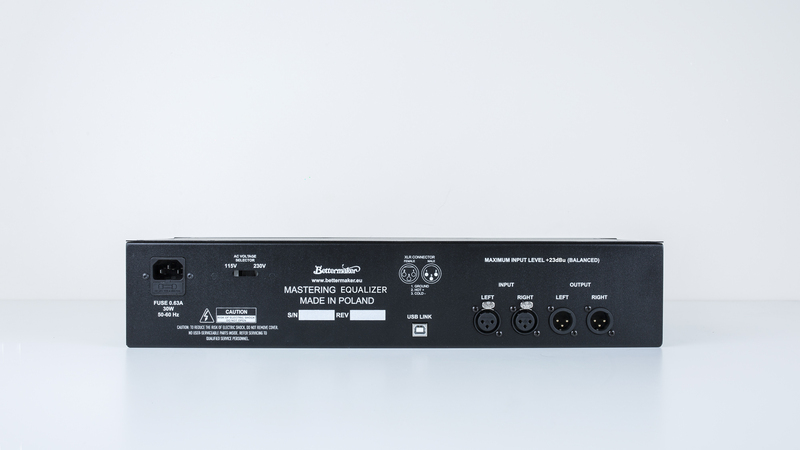 The Bettermaker Mastering Equalizer is a mastering grade EQ for recording, mixing, mastering, and an expansion on their popular EQ232P MkII. 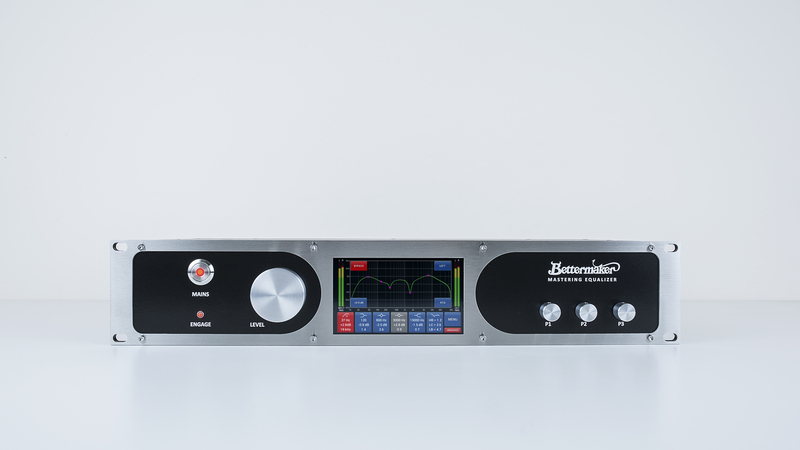 Like all Bettermaker products, the Mastering EQ features a 100% analog signal path with comprehensive digital control, recall, and automation. All parameters can be controlled via the onboard 5” touch screen/encoders or via DAW with a dedicated plugin. The USB connectivity is MAC/PC compatible and the custom USB protocol is used exclusively for control which does not pass audio. Up to 399 presets are recall-able via internal memory or plugin. 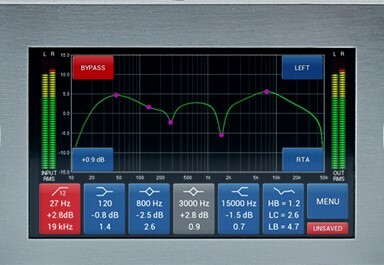 The Mastering EQ features 4 parametric EQ bands as well as high and low pass filter sections. The outer boundary parametric bands may also be changed from a bell curve to a shelf. A passive Pultec style section and “air bands” at 23 and 28 kHz have also been included. The display features a live representation of the EQ curve with a RTA (Real Time Analyzer) for input/output signal built-in to the unit. 100% true analog bypass can be engaged via a front panel switch and each EQ section can be individually enabled/disabled. EQ bands can be interlocked to adjust a combination of bands in sync, for example quickly to make a wider EQ range darker/brighter. 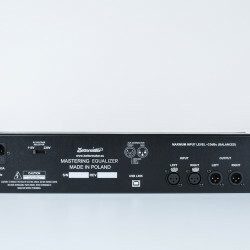 The mastering EQ can operate in stereo, dual mono, and M/S modes for a wide array of applications. 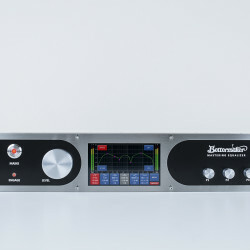 How is it different from the Bettermaker EQ232P MkII? -Two additional parametric filters that can be turned into shelf filters. 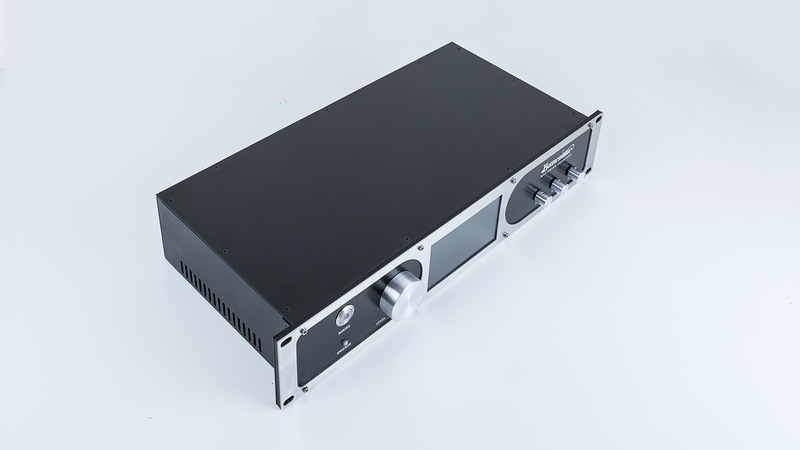 -The Highpass filter is switchable between 12 and 24dB/oct and has resonance regulation. 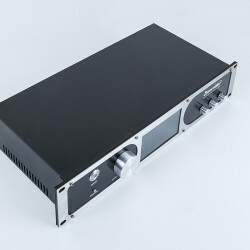 -The P section has the low frequency selection disbanded between boost and attenuation and the high section has two additional bands, 23kHz and 28kHz. -There is a perfect representation of the EQ curves, just like you would use a plugin. -On top of that, there is an input and output RTA.